Keyword density is the recurrence rate of a keyword per 100 words and used to be a significant factor in SEO onpage optimization. Sometimes the rate will be determined based on the total number of words and not as a percentage rate. For example, incorporating a keyword 5 times in an 800-word blog is not the same value as a 3 percent keyword density as the latter would equate to 24 uses in 800 words, which would have a negative impact on search engine rankings. When a keyword is chosen, the number of times it should appear also has to be considered. Usually, this is given as a percentage rate, but sometimes, it is expressed as a total number of occurrences, or in a range of minimum to maximum. 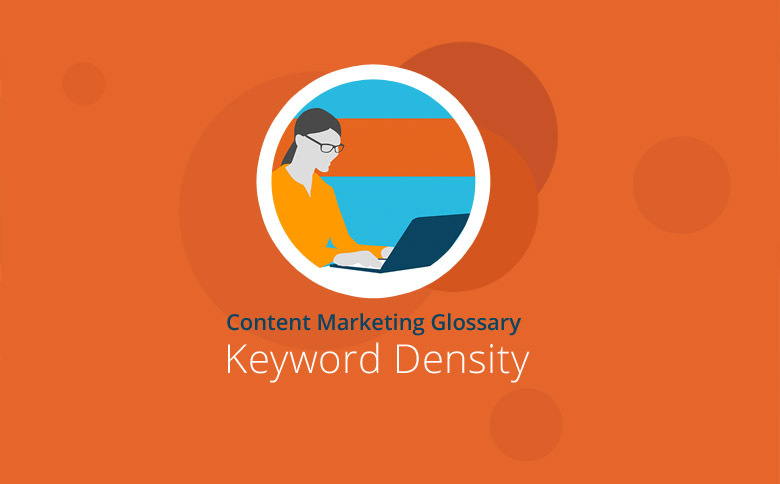 Keyword density used to be a significant factor in a site’s SEO, which marketers and webmasters had to take into account. People use search engines daily, such as Google, to look up certain terms and receive corresponding answers. If a site uses a keyword properly at an appropriate keyword density, a search engine’s complex algorithms will rank it higher than sites that do not. Appropriate keyword density is one of many steps taken by SEO experts to increase a site’s performance, so it should receive its fair share of attention while still taking other influences into account. The general consensus was that a keyword should appear about 1 to 3 times per 100 words although there is no real authority on these values, and it should be judged on a case by case basis. What can be said, though, is that a high density is often described as keyword “stuffing” or “spamming,” and search engines punish this as it lowers the quality of the content. No matter how highly a keyword might be ranked, it is equally important, if not more so, to have content that reads naturally, so it’s important to have a balance. In fact, with search engines becoming more advanced and gearing toward latent semantic indexing, synonyms play a bigger role, so there is no longer an excuse to repeat a keyword to an extent that it is obvious to the reader. Internet users looking for an answer via search engines are more concerned with the quality of the results rather than SEO rankings. The content presented may or may not have a high keyword density, but if it does, it will become apparent to the reader. And the user experience – in this case the quality of the text and the information received – will determine if the user will return to the site in the future or not. Keywords should be given a sensible density in order to offer the reader a good user experience while still fulfilling SEO requirements. Keyword stuffing is an ineffective and overly obvious way of trying to boost SEO, and today’s search engines will punish this. Keywords still hold a level of importance, so ignoring them or not taking advantage of them fully is a missed opportunity, especially as they can be considered free SEO, and a website owner can determine keywords on his or her own and use good judgement to establish the keyword density.